Shop Linen postcard. 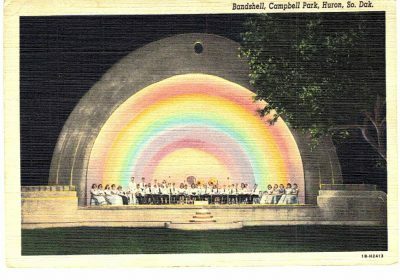 Bandshell, Campbell Park, Huron, South Dakota. 1943. 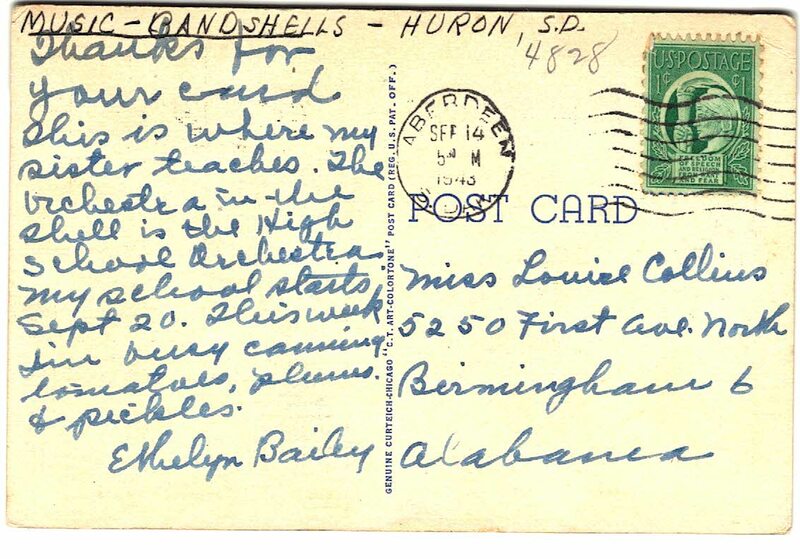 Linen postcard. Bandshell, Campbell Park, Huron, South Dakota. 1943. Publisher: Genuine Curteich-Chicago “C T Art-Colortone”. Condition: very good, postmarked 1943. Sent to: 5250 First Ave North, Birmingham 6, Alabama.